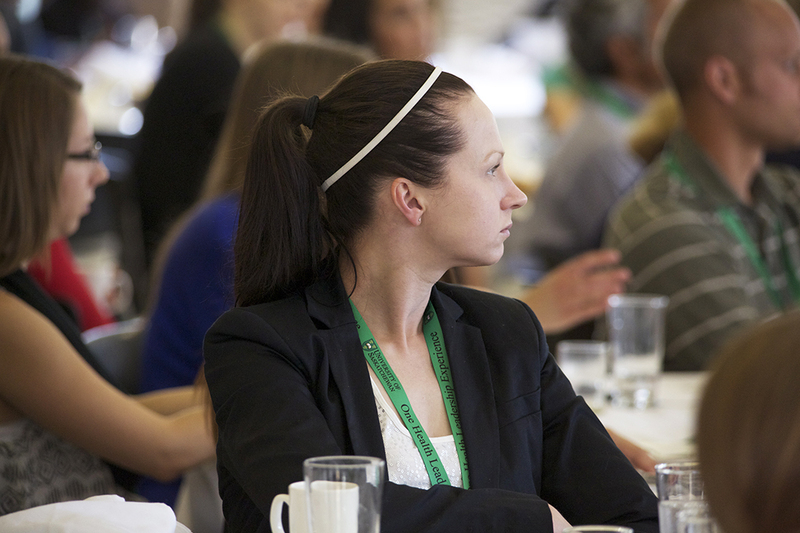 As a veterinary student, Jenn Nyhof was a regular attendee at the annual U of S One Health Leadership Experience. Photo: Myrna MacDonald. When Dr. Jenn Nyhof finished her veterinary degree at the Western College of Veterinary Medicine (WCVM) in 2016, she was offered the chance to conduct graduate studies in global health at Duke University which would send her travelling between North Carolina and Mongolia. Dr. Jenn Nyhof. Supplied photo. But instead she opted to return to Thompson, Man., the small northern city in which she’d first decided to pursue a career as a veterinarian and where she knew her newfound skills were needed too urgently for her to put off the move any longer. “After working in Thompson and in remote northern communities, I quickly realized that there was a gap in delivery of veterinary-related services up here — both from an animal health perspective and from a human health perspective,” Nyhof says. A year after graduating, Nyhof became the owner of Thompson Veterinary Clinic — the practice where she first started as a receptionist in 2011. Not only does the clinic act as the primary animal health clinic for Thompson and its surrounding area, but it has also established outreach opportunities for other underserved areas of public health. These projects include monthly grief counselling sessions for pet owners offered in partnership with a local social worker as well as dog bite prevention training for kids. These examples of community outreach strike at the very heart of Nyhof’s goal to dovetail animal, human and environmental health through her work. This intertwining of various areas of health services is referred to as One Health, an overarching goal of bringing together professionals from distinct educational backgrounds to learn from each other and explore new avenues only made possible through their partnership. Nyhof, who helped to found the University of Saskatchewan’s One Health Club during her time at university, was introduced to the concept as an official academic approach before she had even taken her first lecture at the WCVM. Nyhof credits the WCVM as instrumental in the One Health Club’s success, not just in providing operational funding, space and overall guidance but also for clearly illustrating the One Health model within its own programs, practices and staff. “They’re one of the few, if not only, schools that has representatives from all of the faculties surrounding One Health — nursing, social work, human medicine, veterinary medicine and so on,” Nyhof says. It's this line of thinking that Nyhof has tried to model her own practice on, creating a space where she's just as interested in healing the animals brought into her clinic as she is in building a stronger community outside its doors. "One thing that might sometimes be overlooked as a veterinarian is this thinking that my job is just to work with animals," Nyhof says. "I think my job is just as much about working with people as it is with animals."